Want to grow long healthy hair? 1) Regular trimming we promise not to take too much off!! If you’re getting more than a trim, ask the salon to add a consultation to your appointment so you can sit down with your stylist and map out your vision. We love when people bring a variety of images into the salon because it gives me a general sense of their taste. You may not beable to achieve the haircut you want if the hair isn’t long enough. A head of hair is a lot like a fingerprint. There are general types, but no two are exactly alike you are all unique. If you know a celebrity has sa similar natural hair texture or colour to yours, it’s a good bet that you’ll be able to achieve the same look. If you not sure what your hair can or cannot do your stylist can help guide you. But remember, a lot goes into making a celebrity’s hair look amazing in photos: extinctions, a glam squad, lighting and of course photo shop. Ask your stylist to give you a reality check. Be vocal about pet peeves you have like never let your bangs go higher the your eyebrows or the cowlick you have to wont lay right if it isn’t cut just right. Establish a bond there are salons that serve “fast hair” and salons that work hard to develop artists. 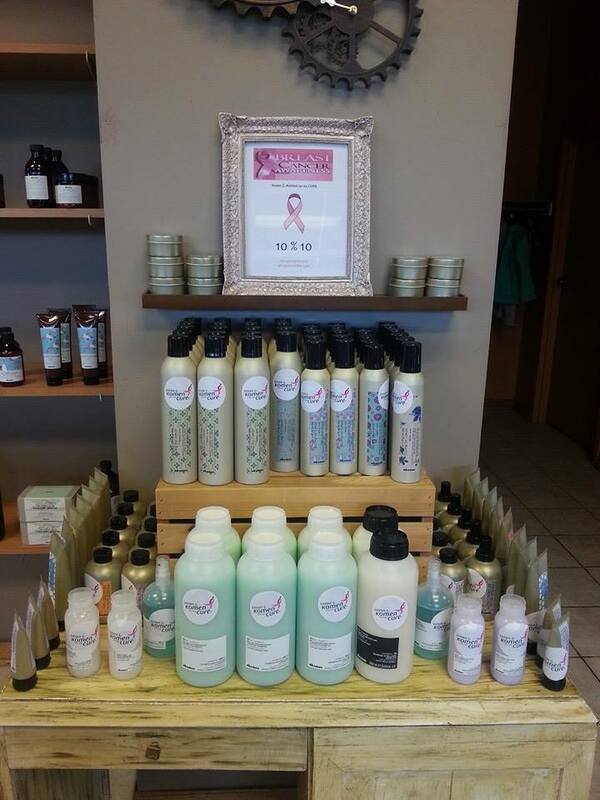 Make an appointment or drop by the salon during our Breast Cancer Awareness Fundraiser and save 10% on selected products. You save 10% and 10% gets donated to the cure.